You just killed it on stage and happened to record your set. Then you posted it on YouTube for everyone to see. Take it down! Odds are you recorded your set at an open mic. It was a good set, but you probably didn’t kill it from beginning to end. Be honest. You felt really good about it and that’s a good thing. 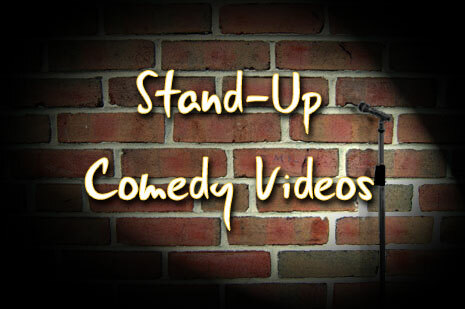 Don’t post your stand-up video until you figure out what you want to get out of it. To Get Discovered? To Get Your Friends To Come See You Perform? To Make People Laugh? For Your Own Entertainment? You don’t have to buy an expensive one. Do some research. Go to the pawn shop. Get on Ebay or any of those online stores. You can probably buy a quality one for under $100. It’s key to have a quality sound and picture. The better the video looks and sounds, the better you look. Don’t use your cell phone. Nothing is more annoying than a camera that is shaking. That makes everyone dizzy. From the first moment of a shaking video, people will look away. There were probably some silent moments during your set. You are trying to highlight yourself. Pick out one joke. One of the funnier ones. Post that one. If you want to post multiple jokes, that great. Make sure they are separate posts though. If you post your entire set and the purpose is to get your friends to come and see you, they don’t have a reason to come and see you now. They just saw all of your jokes. If you post one joke, one of the funnier ones, you leave them wanting more. The shorter, the better. Make it short, under a minute long. People have short attention spans. It has to funny from the first second to the last second. Do you want it to go viral, gets fans and get discovered? People have to share it. If they get bored, they won’t share it. Think about when you watch video online. You share it when you like it. Hearing his laughter is annoying. He thinks he is doing you a favor, but he’s not. The laughter, if there is any, needs to come from the crowd. If your buddy is the only one laughing, or laughing over the crowds laughs, it takes away from the moment. *If he is your only option, tell him to shut up while recording! If you are recording you set just for fun, don’t listen to any of this advice! Maybe it’s for your own personal use. If that’s the case, none of this matters. If you are posting your video to get feedback from friends and other comics, these tips still apply. In life and comedy, may you have much success! This is a 42 second clip from one of my sets recorded with a Flip HD.